Birds have a high metabolism and they need to eat frequently to maintain their energy levels. They are equipped to search out their own food sources. We can help them by planting an ample supply of trees & shrubs which bear fruit & seeds that birds like to eat. Winter is particularly hard on backyard birds. Snow and ice complicates their situation making it harder to find available foods. Many of the transitory winter birds, and the year round bird residents, are insect eaters who convert to seeds & berries when insects are in short supply. 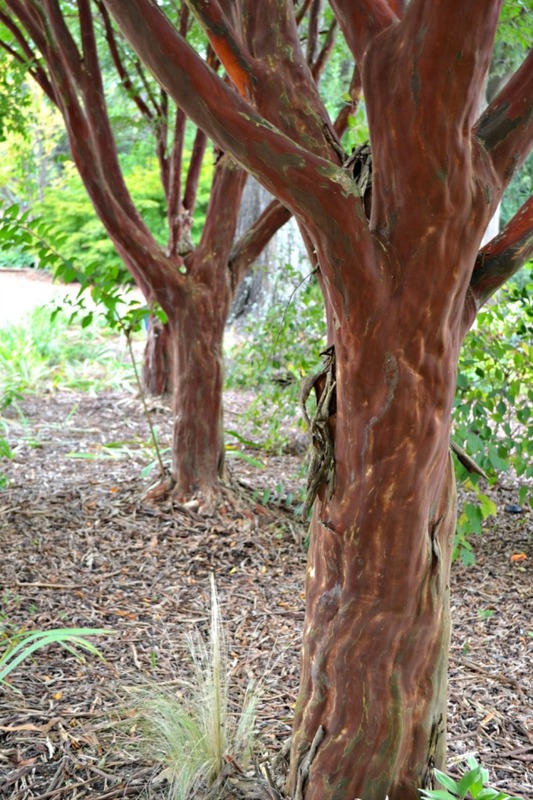 All of the plants mentioned in this article grow well in the Piedmont area, zone 7b. 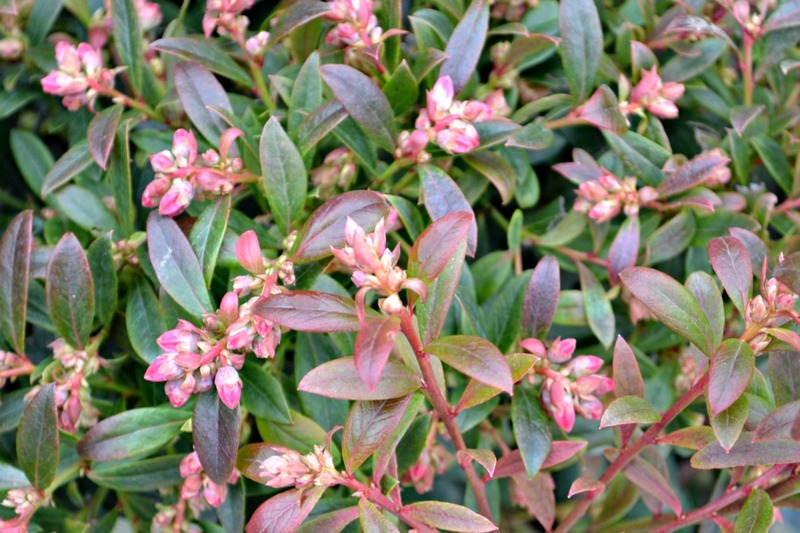 When purchasing plants, think of more than just the birds, consider choosing the right plant for your site. Pay attention to the area you have & what the plant requires (full sun, shade, partial shade; wet, moist, well drained, dry; & soil type). Coordinating those factors will guarantee a satisfactory choice for you & the birds. 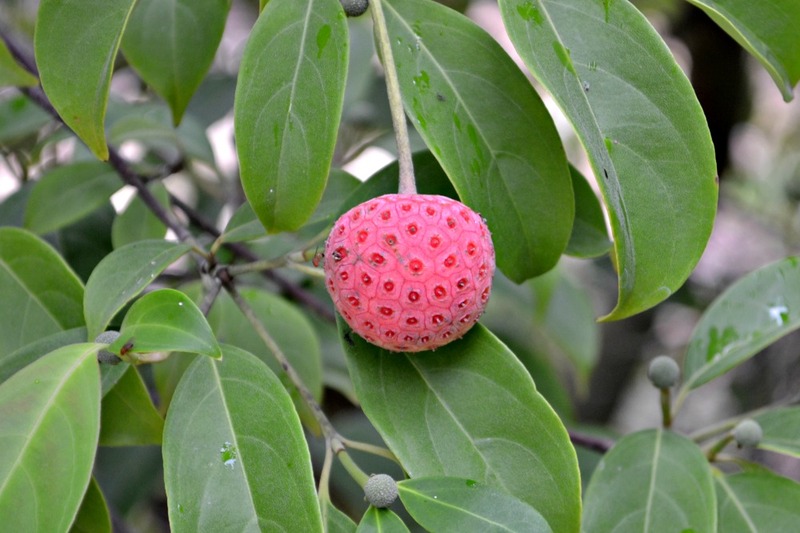 The first tree you should consider is the Dogwood, both the native Cornus florida & the introduced Cornus kousa. 86 bird species enjoy the fruits of these trees. 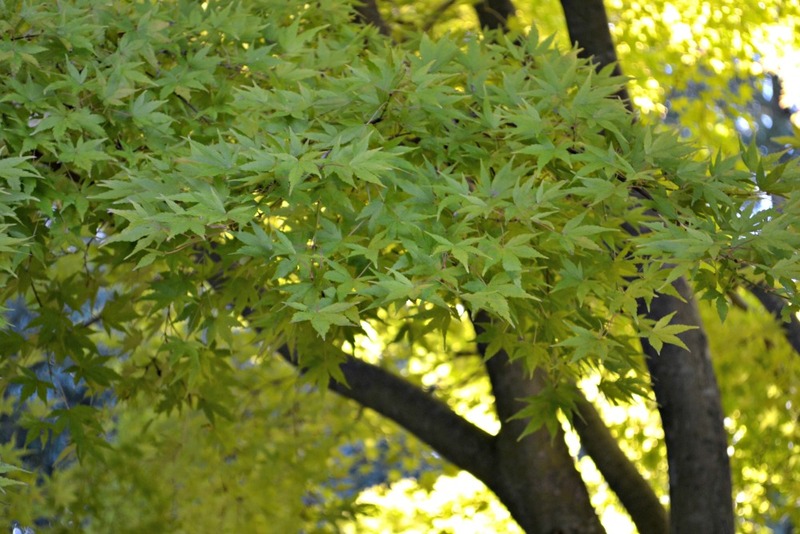 Small as well as large birds get their nourishment from these plants during the fall & winter. I observed 2 huge Pileated Wood Peckers fly into my backyard & consume every single berry off every dogwood I owned in a single day! Hollies (Ilex sp. ), are another selection from the top of the birds’ list of favorite foods. There are too many hollies to list all of them, many are evergreen. Some are deciduous (lose their leaves in the winter). Shamrock is an easily found Inkberry holly shrub that has no spines & is an evergreen (Ilex glabra). 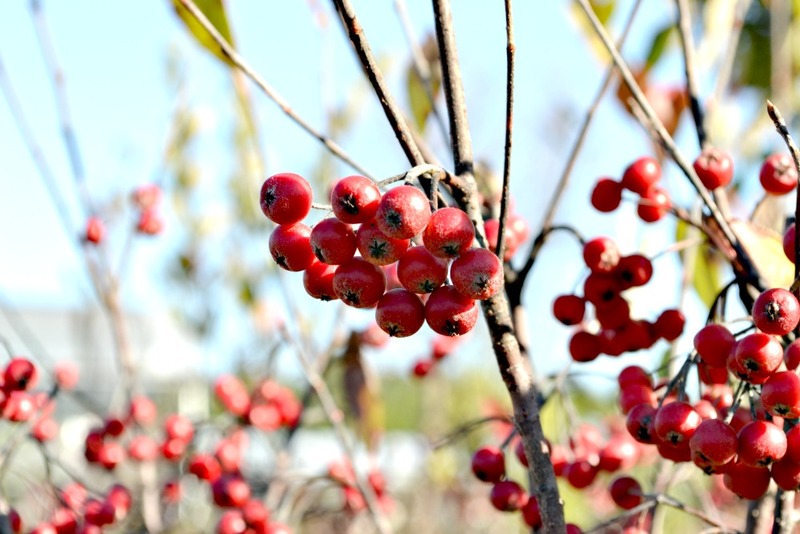 The more popular varieties of hollies can be trees or shrubs: Burfords, Needlepoint, Cardinal, Nellie R Stevens, Foster, Fine Line, Winterberries, Greenleaf, Sparkler, Savannah, Emily Brunner, Nellie R Stevens, & Yaupons. Some are American types, some Chinese, some Japanese (some native, some introduced). Bear in mind only the females of some hollies bear fruit & in rare instances you will need a male for pollination. A shrub birds love is Lindera benzoin, also known as Spicebush. In addition to the 25 species of birds that eat the tiny berries, it also serves as larvae food of the Spicebush butterfly. An interesting observation is the larvae cuts one side of the leaf in half, folds it over creating a sleeping bag type of protective covering to stay out of sight of hungry birds! River Birches come next if the birds were choosing trees you should purchase for them. And running neck & neck with the River Birches would be the Sassafras. Both are native trees but the Sassafras might be hard to find at a regular nursery. It often comes up as a volunteer in my yard & I assume it is bird planted just as the poison ivy is. Two more bird shrubs would be blueberries & viburnums. The berries of both of these are highly sought after. They prefer blueberries (any variety will do) less ripe than we do and eat them before they are sweet enough for us. Both shrubs make excellent choices for the landscape because of their beautiful leaf color in the fall. There are many viburnums to chose: V. opulus, European Cranberrybush & ‘Shasta’ (V. plicatum tomentosa) are top choices. Serviceberry (Amelanchier arborea), also called Shadbush, has delicious berries, good for jams if you can get them before the birds do. It is a small multi-trunked tree, similar is shape to a Crapemyrtle (Lagerstromia indica) whose seeds are also enjoyed by winter visitors. 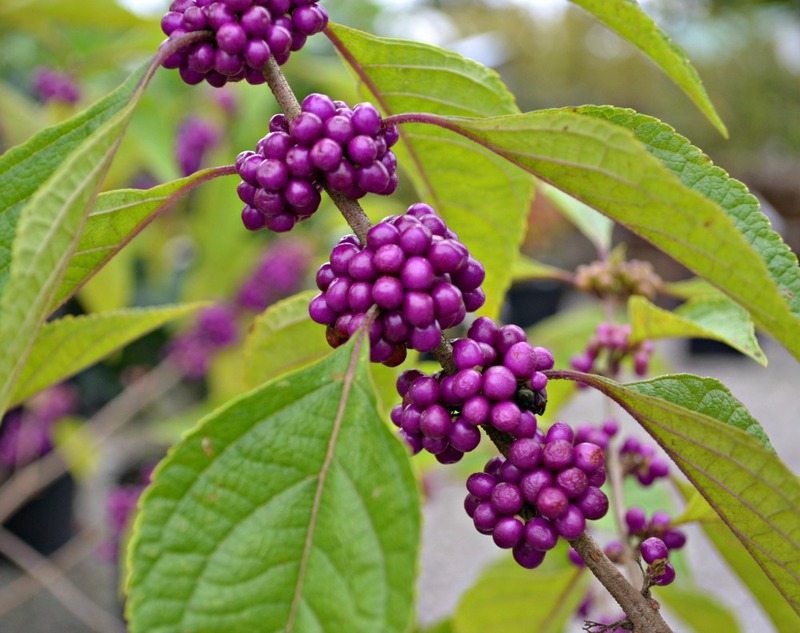 The Beautyberry shrub (Callicarpa americana or japonica) has gorgeous almost metallic purple berries tightly ringed around grey stems. The American form has larger berries & is a bit flashier than the Japanese, both are excellent choices. Clethra alnifolia (Sweet Pepperbush) is my 6th suggested shrub for birds. Although it does not attract as many bird varieties as the other plants do, it is a source of nectar for hummingbirds. Plant it where you can we enjoy watching them feed. Other birds eat the seeds. I’m leaving the last tree choice up to you. There are many large trees which the birds use for food, protection, nesting materials & nesting sites. Consider choosing from the pine, oak, maple, beech, or elm families for bird approval. Wouldn’t you rather watch a bird gobble a grub or an insect than mix up an insecticide? The more birds you attract the fewer problems you will have with 6 legged intruders. These handsome plants will add value & quality to your home & create an enjoyable hobby, birdwatching.